We are approaching the period here in Australia where we introduce a large number of graduated doctors to the Australian health care system as Interns. So at AdvanceMed we thought that we would review what the rates of pay are for Interns in Australia. The findings are quite interesting. The results above reveal that there is a wide variation of over $10,000 per annum in an intern salary from NSW, which pays the lowest at $67,950 to Western Australia which pays the best at $78,479 per annum. The reason for the large variation is that each State and Territory sets its wages for public employees separately through something called an Award or an Agreement. These are formal documents that state the conditions of employment. They include matters such as the hours of work, the leave available and of course how much you get paid. Doctors like other public employees do not generally contract as individuals for their services with hospitals. So everyone gets the same conditions. According to the Australian Bureau of Statistics Full Time Adult Average Annual Ordinary Earnings is was $82,752 in 2018. So bearing in mind that it takes a minimum of 5 years of university study (with a fair collection of higher education debt to pay off) to get to this point we can certainly not consider Interns to be extremely well paid. But its not all that doom and gloom. Whilst, Interns certainly do not work the amount of overtime they used to 10 or 20 years ago. Overtime provisions, as well as loadings (working rostered hours on an evening, night or weekend) under most Awards and Agreement can lift the annual take home pay of an Intern significantly. For e.g. most overtime starts off being paid at 150% and rapidly goes to 200%. So, if an Intern works on average 50-60 hours per week they are likely to hit Full Time Adult Average Annual Ordinary Earnings, even in a State such as NSW. And, of course it does improve significantly from this position. By the time a doctor becomes a Registrar in Victoria for example, their regular pay has increased to $105,000 per annum (after a period of 2 or 3 years). And a first year Staff Specialist in NSW can earn upwards from $234,566 per annum. An additional bonus for Interns comes the first tax time. In Australia the Financial Tax Year runs July to June. So, because you have not been paying much in the way of taxes for the first half of the financial year, you end up paying more tax than you need to in your first 6 months of Internship and can get a reasonable return come tax time. For this reason, some Interns seek to work extra overtime before 30th June. What's Going On in NSW? 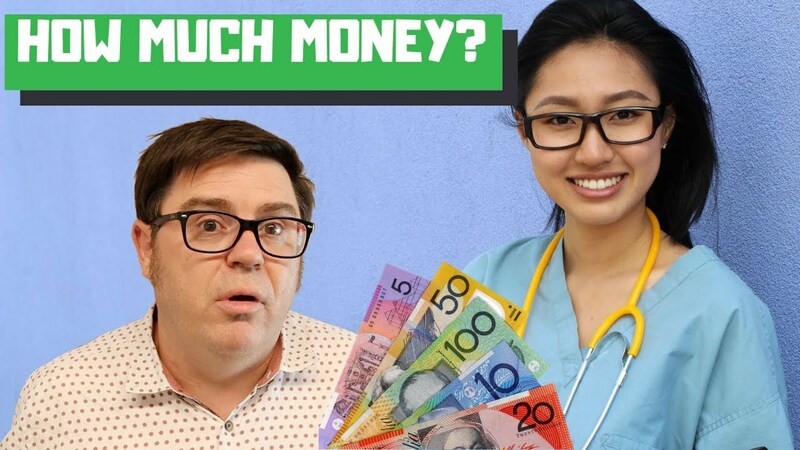 When I was an Intern, NSW paid some of the best salaries for trainee doctors in the country. States like Western Australia (which is now first) were actually towards the bottom of the list. Given that NSW is the biggest State by population, one of the richest States economically. And given that Sydney (NSW's capital city) is probably the least affordable place in Australia to live it makes little sense that NSW Interns get paid the least. Its hard to know exactly why this situation has occurred. Its possible that the industrial groups that represent doctors in other States and Territories have been more successful in representing trainee doctors over the years. This certainly seems to be the case if one looks at the Enterprise Agreement for doctors in Victoria. Which even includes an allowance for continuing medical education, as well as separate provisions for internal training leave, examination leave and conference leave. This situation puts the NSW trainee doctors Award to shame. This instrument has not been modified in any significant way since the 1990s (possibly longer). At AdvanceMed we are interested in ensuring that our facts are correct. If you are a representative of a State or Territory Health Service or Department and wish to suggest a correction please contact us at [email protected] or leave a comment below. Declaration of Interest. Anthony is currently employed Part Time by NSW Health but his views do not reflect the opinions of NSW Health, nor any other health service, hospital or agency.